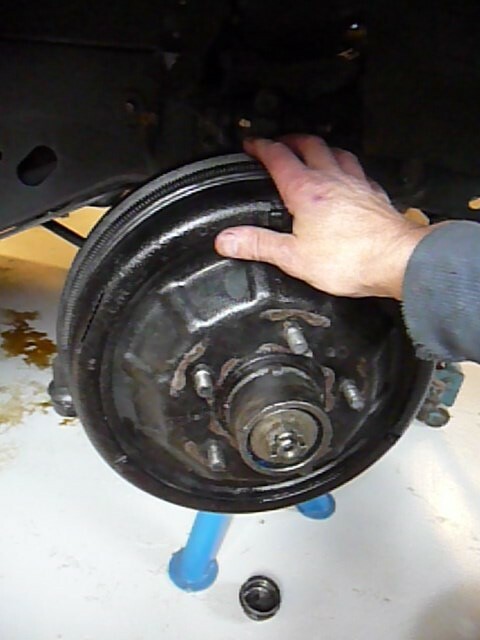 Decided to upgrade the front wheel bearings from ball bearings to roller bearings on my 1956 Cadillac ser 62 Coupe. 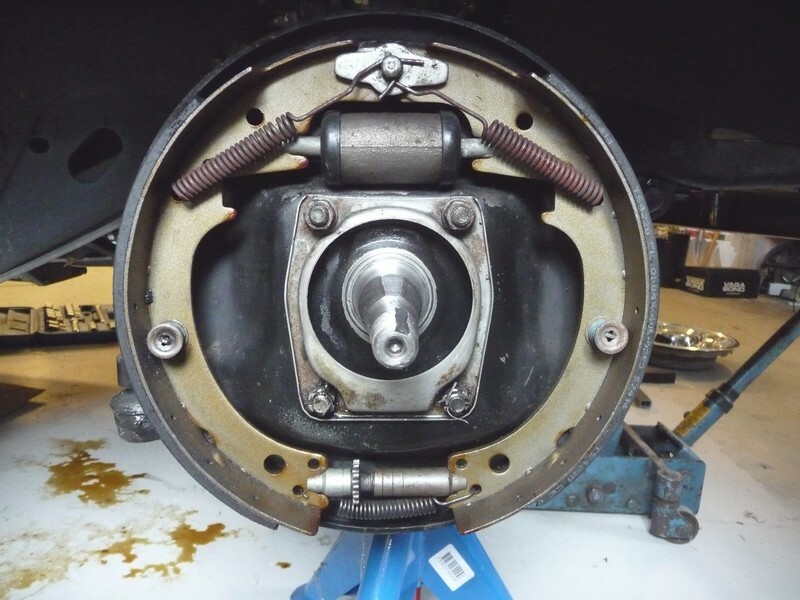 Ball bearings was standard on Cadillacs up to 1960 when they changed to roller bearings. 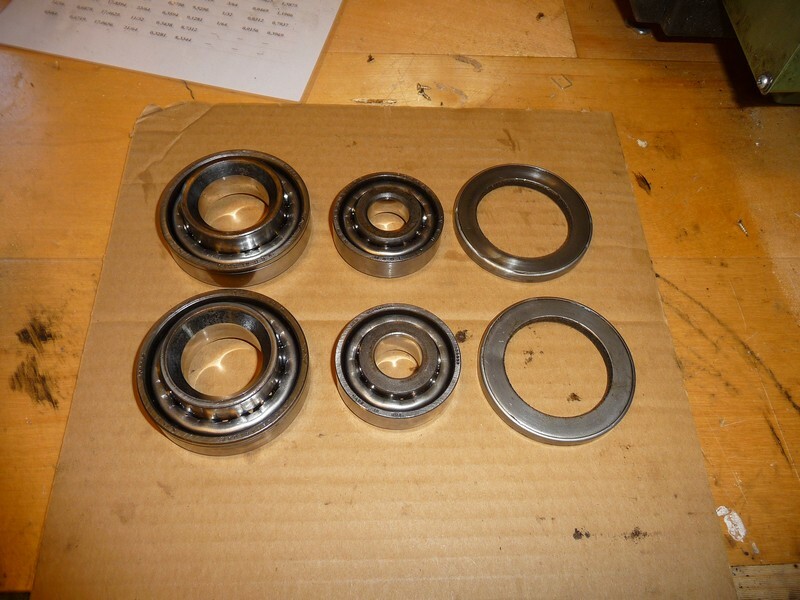 The roller bearings are more durable and especially today when many of us have upgraded? 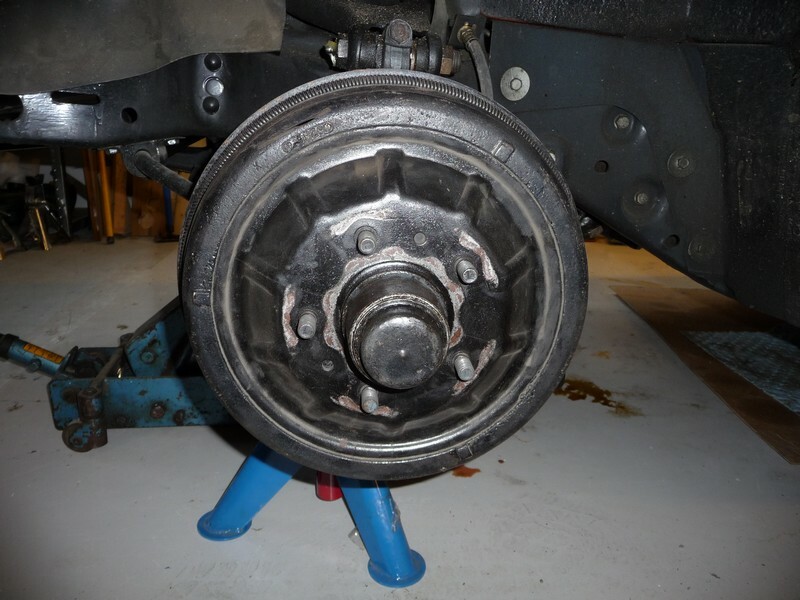 to radial tires which are less flexible and transmit more load to the bearings than the old ply tires did. 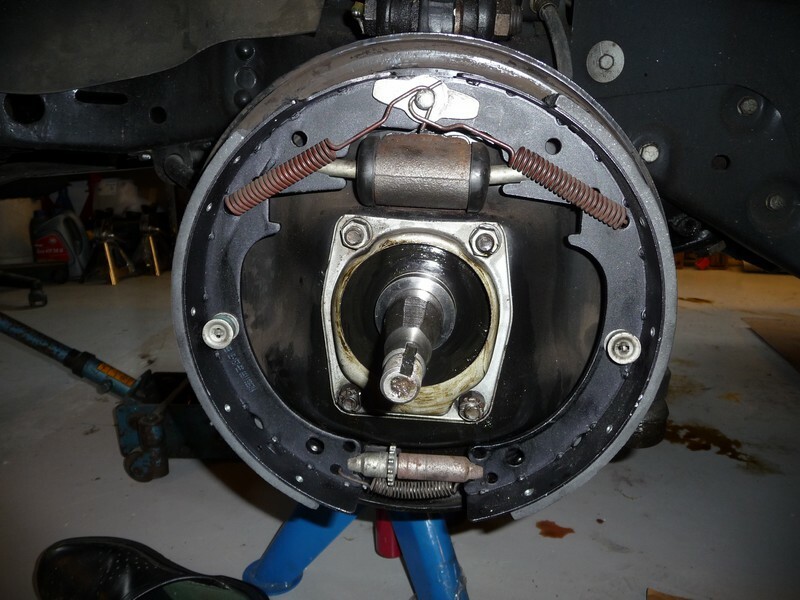 Got my upgrade kit from TA Motor in Skellefteå, Sweden including an instruction that is reasonably direct and understandable. 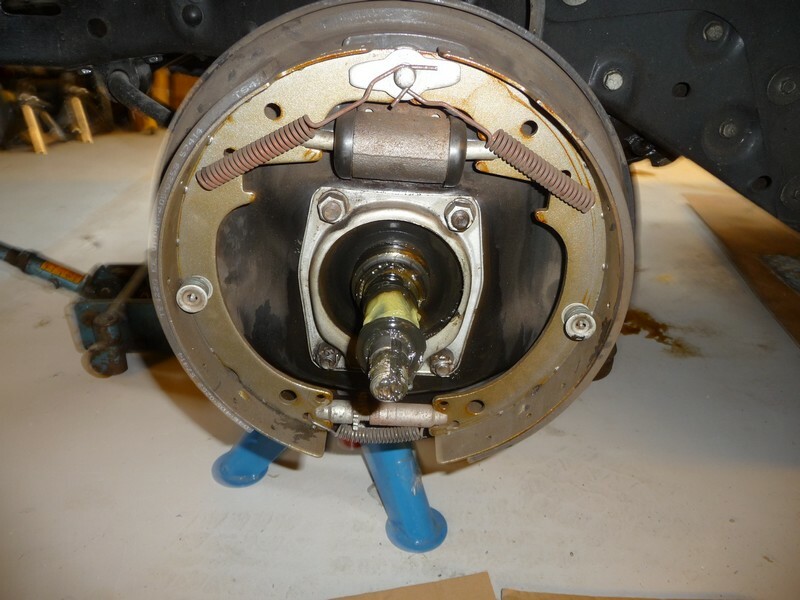 I can also admit that I did this upgrade on my former 58 convertible so I have had practice before. 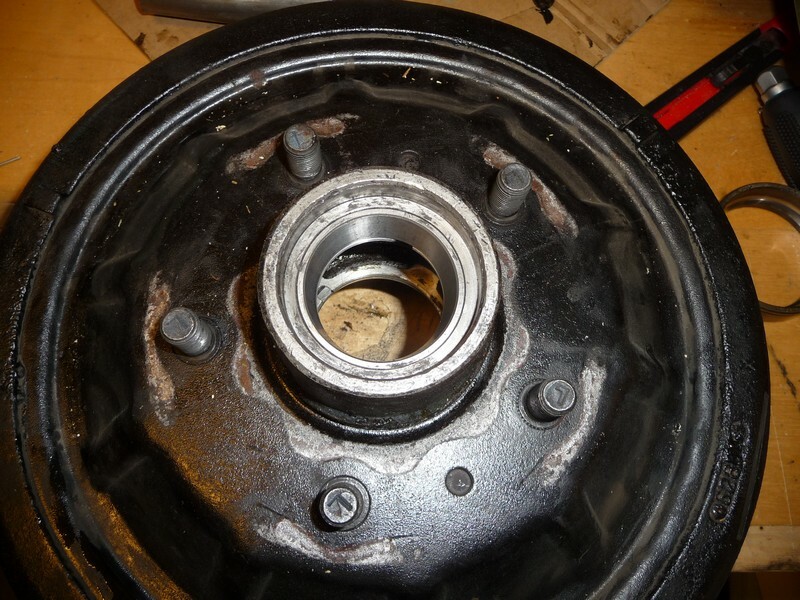 First of all you need to remove the wheel of course to access the front drum which holds the bearings. 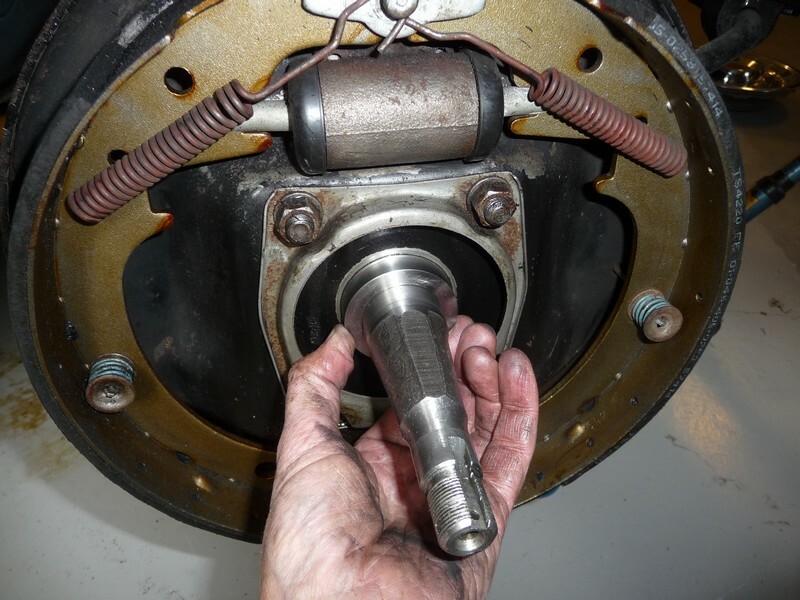 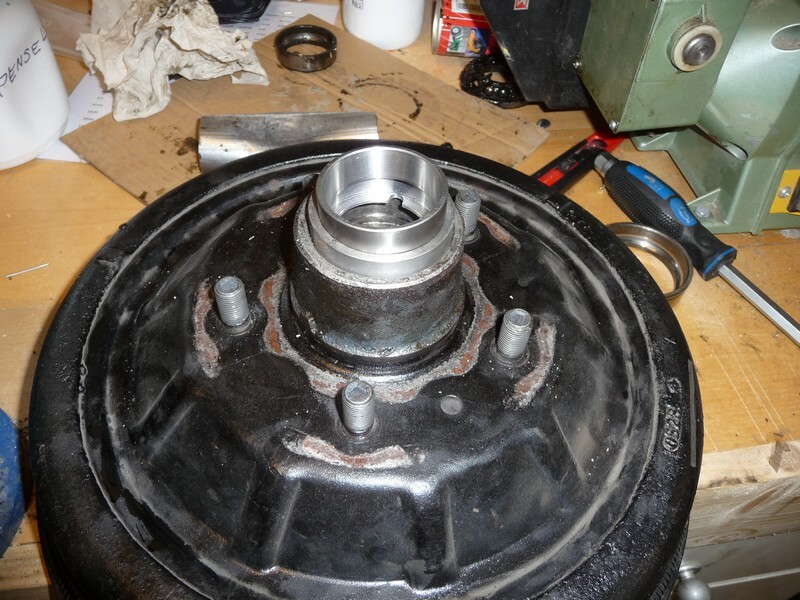 Remove the crownnut and carefully lift of the drum (take care if you haven´t done this before, it´s heavy), also take care so you don´t drop the roller bearing parts on your dirty floor (or it will become dirty) from bearing grease. 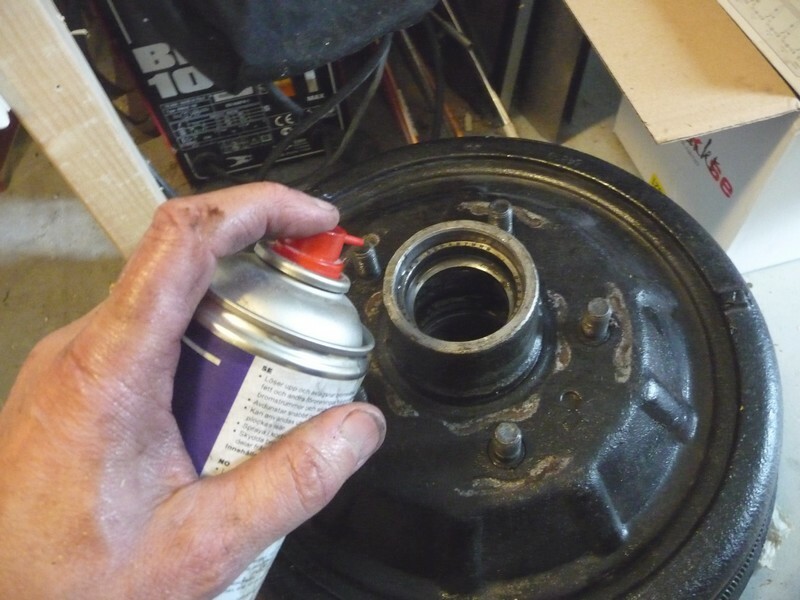 Take the drum to a place where you can wipe of all excess grease and clean of all dirt inside. 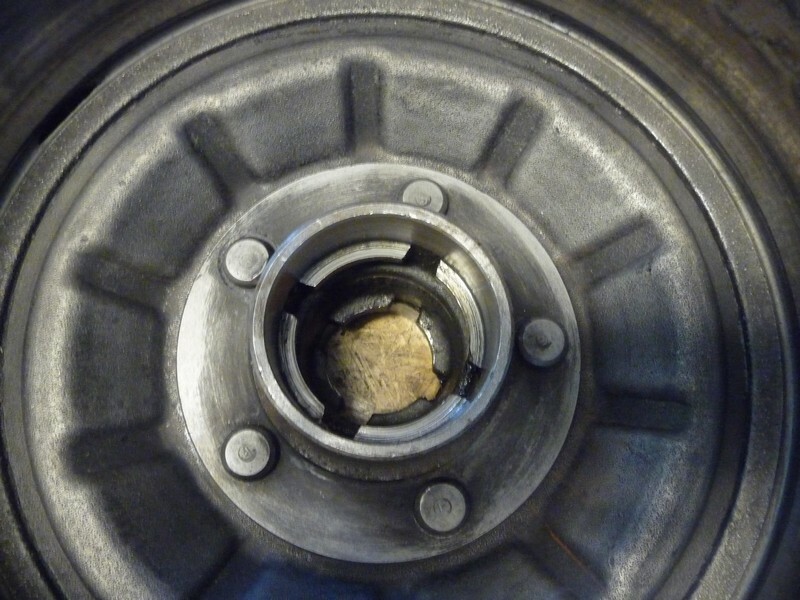 Be careful not to grease up the insed of the brakearea, avoid touching it with your greasy fingers on the inside brakesurface. 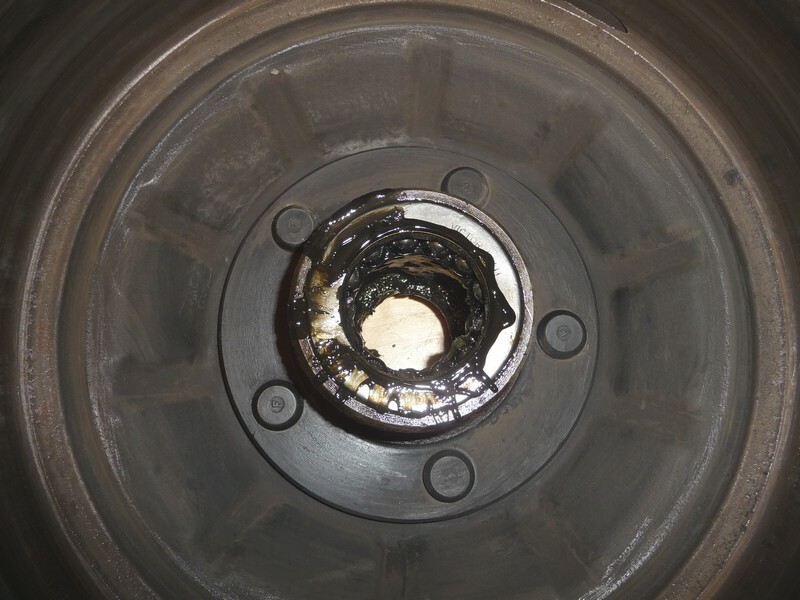 My bearing inner seal showed some grease leak probably due to wrong grease being used or overheating, that is not good for the brakes, one of the reasons my brakes had been dragging to the left perhaps.. 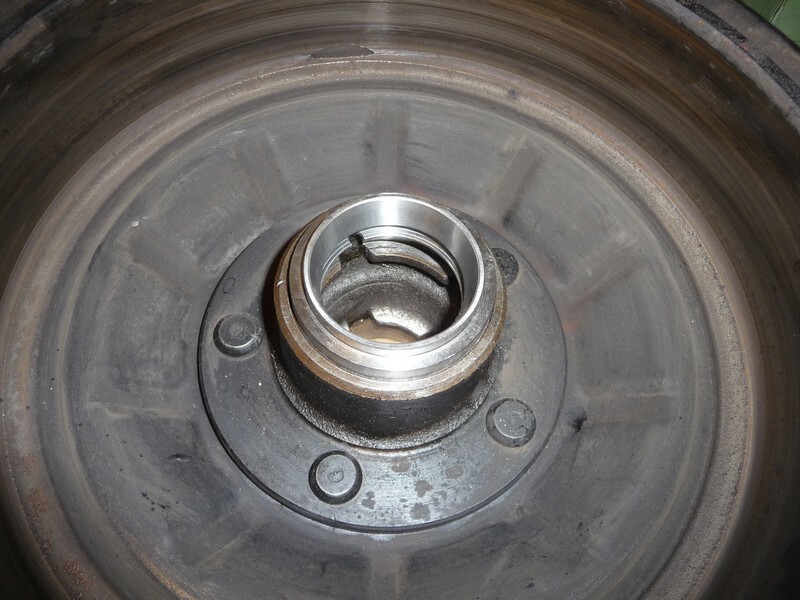 Remove the old bearing races by pressing or tapping with a hammer evenly on the race to get it out of the drum. 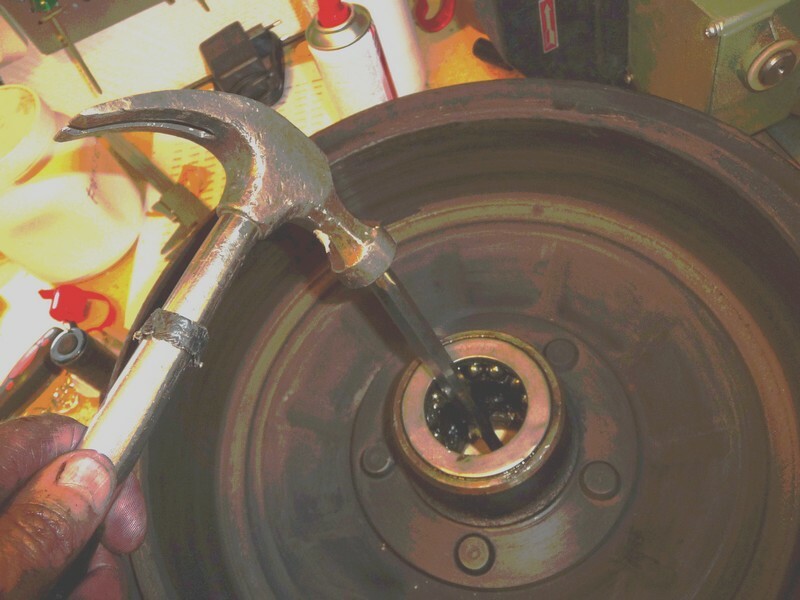 Insert the new roller races evenly by a press or by using a piece of steel that fit over and tapping evenly with a hammer until it bottoms into the drum. 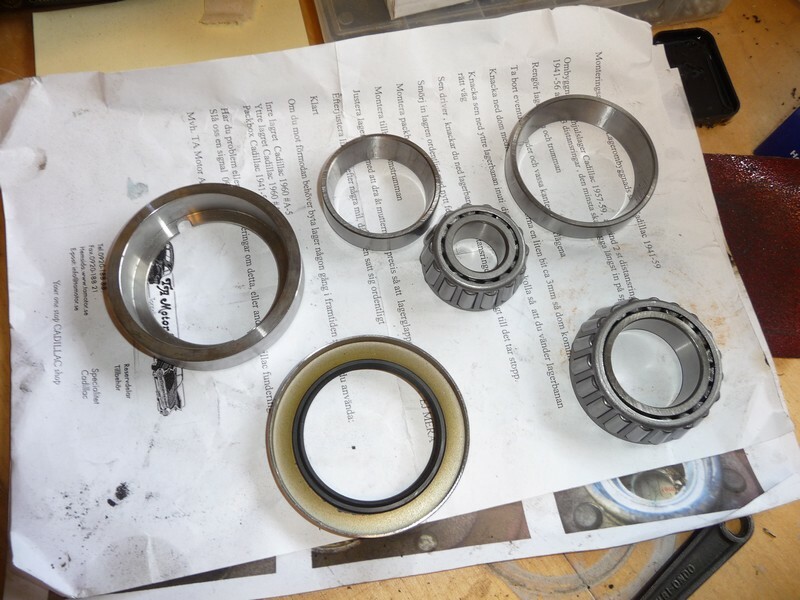 Grease the bearing with a high quality grease and assemble the drum and tighten the crown nut according to 1960 shop manual. 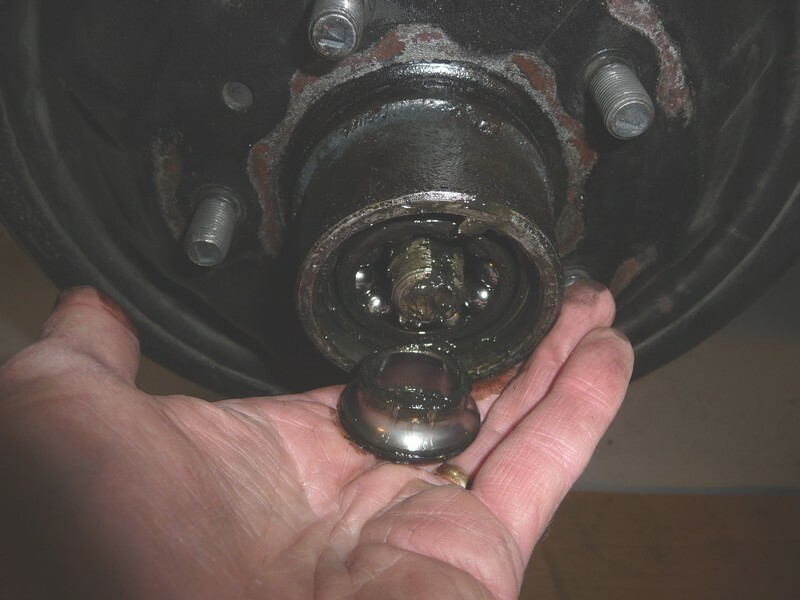 Note it is important to tighten the bearing differently to the roller bearings. 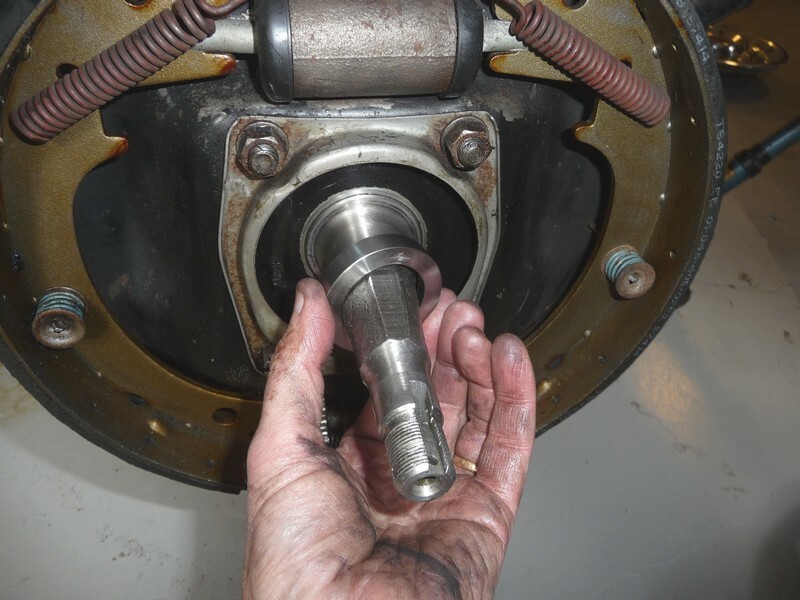 Make a test drive for a couple of miles and then retighten the bearing so it sets alright.